I found this piece of wood, I think its actually a piece of Arborvitae hedge. 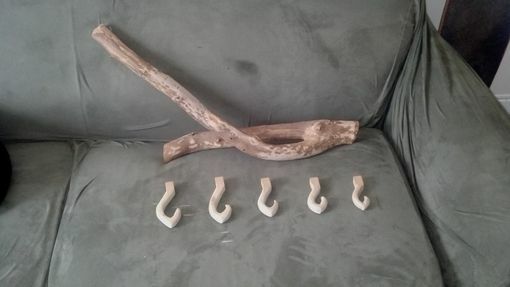 Well I started peeling off the bark and then next thing ya know I'm making wall hooks for my coats and hoodies. I shaped the Poplar hooks like leaves. 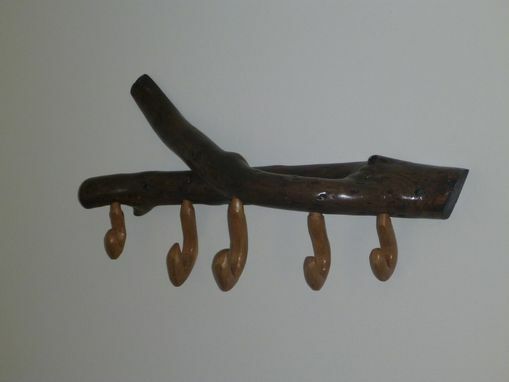 This is something I'm trying to do more, whimsy and organic styled wall hooks and shelves, so check to see what comes out next!